Adult description: This is a medium sized moth, forewing approximately 27-45mm1. 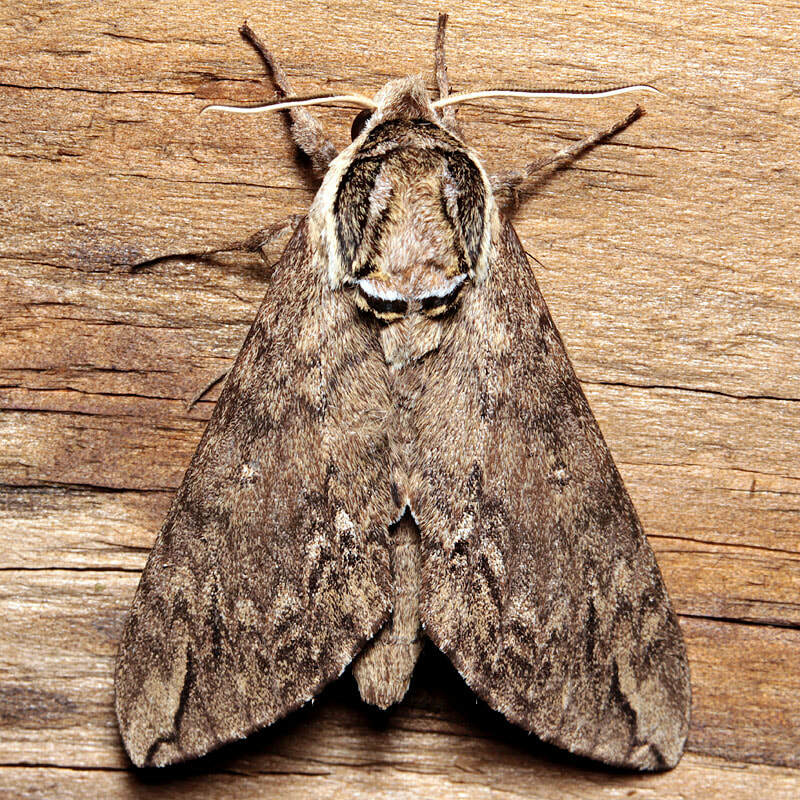 The overall appearance of this moth is drab and brown. 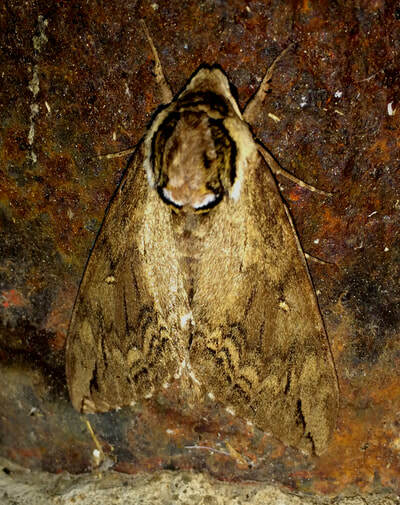 There is a gray reniform spot. 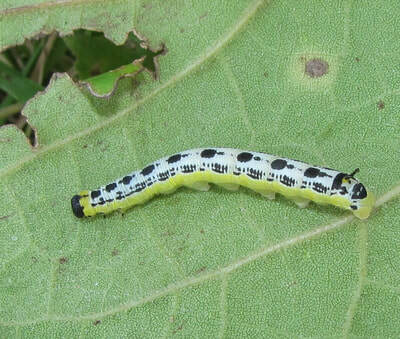 Some well-marked individuals of this species, can resemble C. undulosa, but the presence of the gray reniform spot rather than bright white helps differentiate. 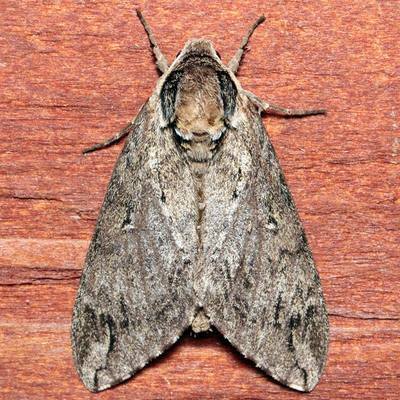 There are black dashes and marks across the forewings that vary in darkness and thickness. 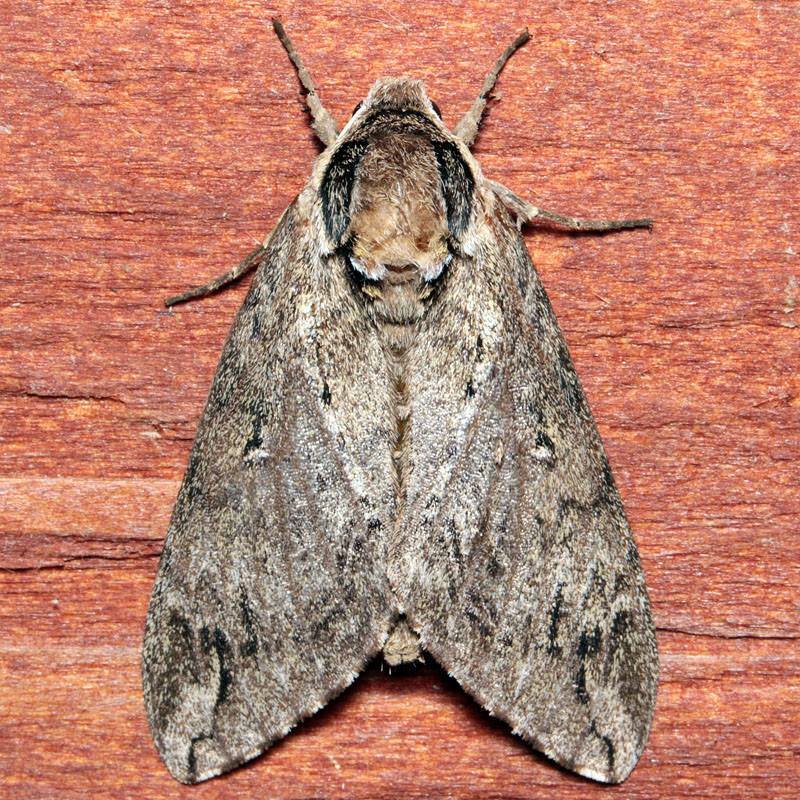 The hindwings are a very nondescript brown color. The body is brown with cream lines on the sides. 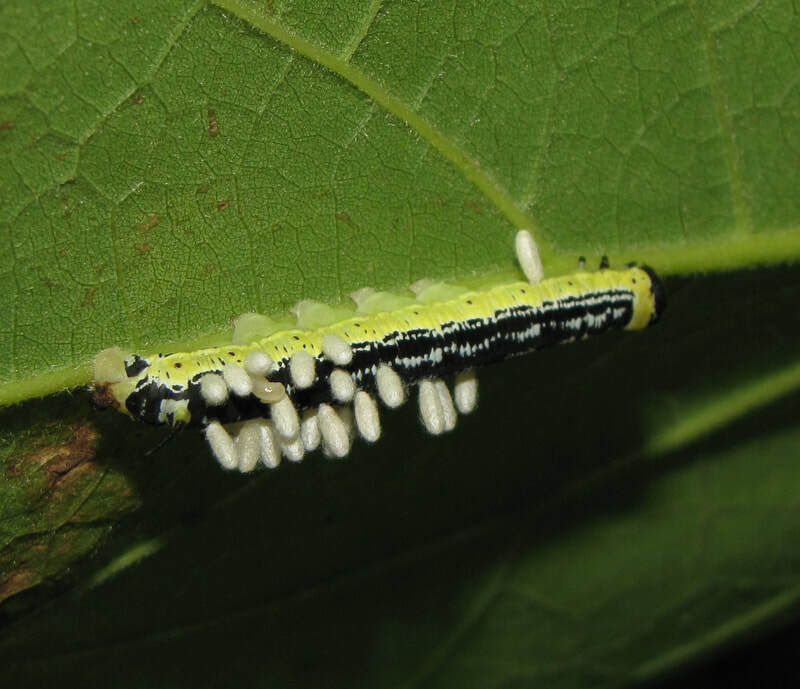 L1: Early instar larvae are gregarious, feeding in large groups until L4. 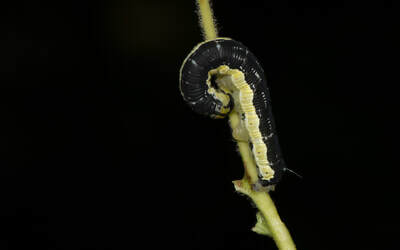 They are small, with a thin spindly horn. L5: Very thin larvae with a thin spindly horn. 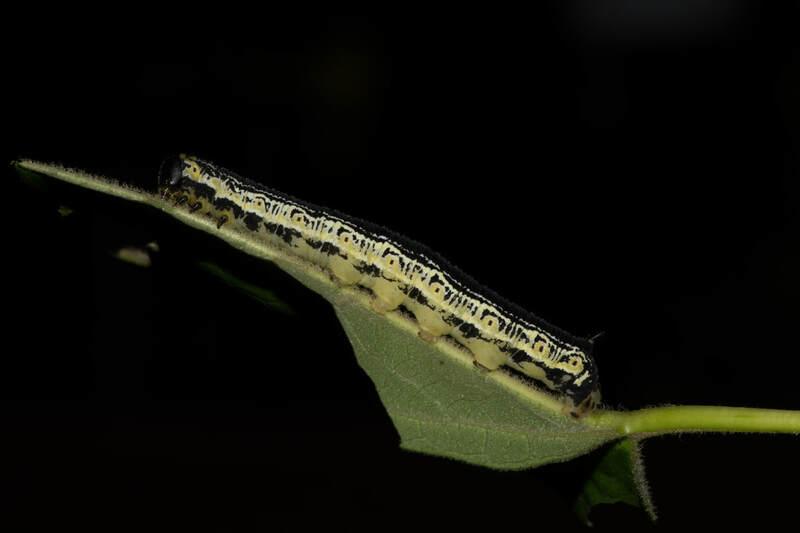 The larvae are usually many colors including black, yellow, green, or pink. There are black lateral stripes along the larva, that may occasionally blend together to form splotches. The gallery to the left contains photos of Ceratomia catalpae adults. If you have a photo that you would like to submit to us, please contact us. 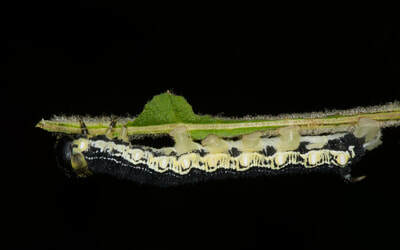 The gallery to the right contains photos of Ceratomia catalpae larval and pupal stages. If you have a photo that you would like to submit to us, please contact us.